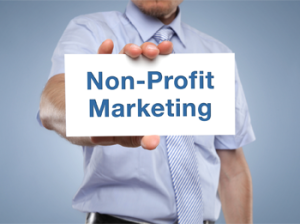 Promotional merchandise is one of the best ways to promote and earn revenue for your nonprofit group. Whether you have a community after school program or are the chairperson of a major national charity, Instant imprints has unique solutions for your particular need. Each Instant Imprints Center features an extensive collection of promotional merchandise and decorated apparel to suit your needs. We encourage you to visit one of our national showrooms to speak with one of our experts. Instant Imprints is one of the biggest national networks of its kind, serving communities and organizations like yours for over 15 years. Each Center provides complete onsite production and decoration for all of your promotional needs and features state of the art equipment along with knowledgeable staff. We provide quality embroidery services on practically anything you can imagine. Our centers have state-of-the-art embroidery machines to provide you with anything from individual personalization to thousands of pieces. You can count on us to make your brand more visible. Big or small, fancy and fast. With wide format and digital printing equipment, our centers can produce nearly any sign, banner or display a business or organization may require, including retractable banner stands, A-frames, tradeshow booths and much more. For permanent or temporary use, indoors or out. Personalized shirts with your logo or design. We create t-shirts with custom designs using the latest technologies in direct to garment, heat transfers, lettering and screen printing which allows for maximum flexibility with order size and a fast turnaround to customize each order. Items that stand out and are remembered. There is no shortage of ways to promote your business. From branded pens to drinkware to flashlights, there are endless options at your disposal. Talk to us about finding the right solution for you and your customers. Effectively communicate with ink and paper. Let us help you create the printed materials that will promote both your brand and your message. Customized brochures, flyers, business cards, postcards, manuals, mailers and more designed to make you more visible to your customers.